The 10th Amendment to the US Constitution states, "The powers not delegated to the United States by the Constitution, nor prohibited by it to the States, are reserved to the States respectively, or to the people." Yet, the Federal Government has expanded its powers well beyond the scope intended by the founding fathers of our country. 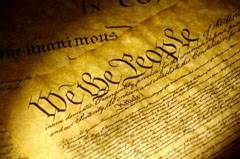 How do we stop this unconstitutional expansion of federal power? This campaign season has brought forward two terms Americans need to learn and understand. These terms are nullification and interposition. Nullification is a legal theory that says states, through their legislative bodies, have the right to nullify or invalidate any federal law deemed unconstitutional by that state. An example of this was Montana's nullification of federal gun laws last year. Montana, through legislative process, declared federal gun laws to be invalid in the state of Montana for all guns made in Montana, used exclusively in Montana and never transported across state lines. One of the leading experts on the principle of nullification is Thomas E. Woods. Mr. Woods will be speaking at a national event being held in Fort Worth early in September. The event, "Nullify Now" will be held in Fort Worth on September 4th and will feature a broad base of expert speakers on the topics of Nullification and Interposition. In this video, Mr. Woods sets the foundation for the principle of nullification through illustration of Thomas Jefferson's actions in 1798. Interposition is a similar principle of rejecting Federal overreach. This is a tool used by the executive branch of a state government to reject a federal statue or regulation as unconstitutional. This concept is discussed at the Federalist Blog. 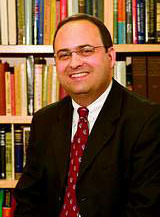 Thomas E. Woods – Best-Selling Author of Meltdown, The Politically Incorrect Guide to American History and Nullification: How to Resist Federal Tyranny in the 21st Century. 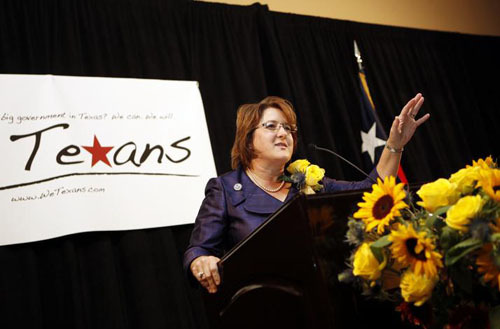 Debra Medina, former Republican Gubernatorial Candidate and founder of We Texans, stated recently, "For more than a century, We the People have been marching on D.C. in the hopes that federal politicians would see the light and limit federal power. We have been suing in federal courts in the hopes that federal judges would limit federal power. We keep “voting the bums out.” But every federal election cycle we end up with new bums that expand federal power!" CLICK HERE to purchase tickets for this event which will be covered in depth by TexasGOPVote in future articles.